On Wednesday 23rd January, the Garden Museum invited industry professionals, potential brides/grooms and confirmed clients for a drinks reception with canapes, bowl food and wedding cake to finish the evening. 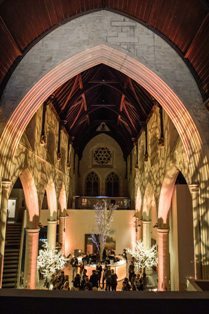 They had a drinks reception in the beautiful Sackler Garden room when guests first arrived at 6.30pm and then went through to the Nave at 7pm-8.30pm. 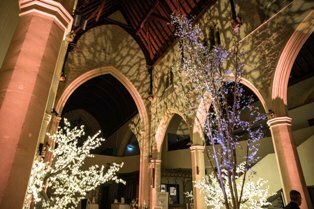 The Orangery, leading guests down to the Nave had mini blossom trees provided by Vibration Group and on the other side they had mini LED candles and storm lanterns provided by one of their preferred production suppliers Light Motif. In the Nave, the drinks reception continued with music and they had a hand/nail bar for guests to enjoy, making it a very successful networking event. It was lovely for the team to see people getting so much from the event and importantly enjoying themselves.